Leaving France we couldn’t pass up the chance to stop over in Monaco. Our armchair travels through Europe wouldn’t be complete without taking a look at this lovely little principality. 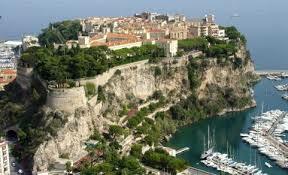 Monaco takes up only 200 hectares and counts as the world’s second-smallest country. However it offers a lot of altitude from which you can get sweeping views of this country. Even though the country is not a member of the EU they participate in the EU customs territory and this means that you can freely cross over from France to Monaco without any formalities at the border. They also have the Euro as their currency. 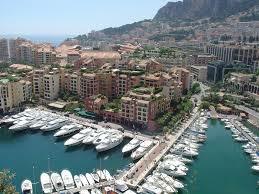 You’ll see that there is so much more to Monaco and it is not just a playground for the rich and famous. 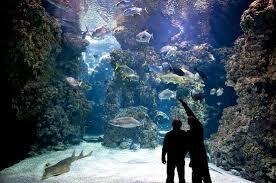 Positioned on the edge of a cliff is the world-renowned Musee Oceanographique de Monaco. It opened its doors in 1910 and was founded by Prince Albert I. The highlight of the museum is its aquarium which has a 6m-deep lagoon where all the sharks and marine predators are separated from colorful tropical fish by a coral reef. Upstairs in two very large colonnaded rooms you can learn the history of oceanography and marine biology looking over photos, old equipment, various specimens and interactive displays. Altogether the museum has about 90 tanks in the aquarium housing 450 Mediterranean and tropical species all sustained by 250,000 liters of sea water being pumped in every day. For children there is the tactile basin where they can get up close and feel the fish. Take a walk up to the rooftop terrace which offers fantastic views of Monaco and the Mediterranean. Take an amazing walk back into history by visiting the old part of Monaco known as Monaco Ville or Le Rocher (Rock of Monaco). It winds up a pistol-shaped rock and was strategically positioned to overlook the sea. It became the stronghold of the Grimaldi dynasty. The palace which was built as a fortress in the 13th century is now the private residence of the Grimaldis, protected by the Carabiniers du Prince. Changing of the guard occurs daily at 11:55 PM. Le Rocher is the only section of Monaco to still have small, winding medieval lanes full of little shops. In order to get here you have to walk up the 16th-century red-brick Rampe Major from Place aux Armes in the Condamine section. Also a path winds its way up from the port through the shady Jardins St. Martin. Jardin St. Martin found in the Monaco Ville. 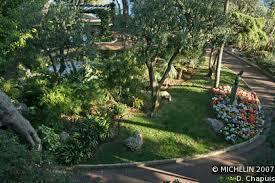 These gardens consist of a series of paths located on the south west face of the Rock of Monaco. Among the flora here you’ll find Aleppo pine trees and yellow agaves in its terraces with medieval fortifications. 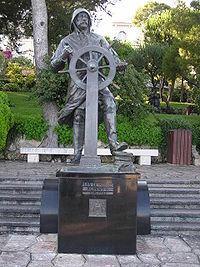 In the center of the gardens is a bronze statue of Prince Albert I as a sailor created by Francois Cogne. You’ll find fascinating and exotic flora in Jardin Exotique. These gardens are home to the world’s largest succulent and cactus collection starting from small echinocereus to 10m tall African candelabras. These gardens slope down the slopes of Moneghetti through a maze of paths, stairs and bridges. From here you can get lovely views of Monaco. Visitors can also get tickets for a 35-minute guided tour through the Grottes de l’Observatoire. The caves include an important prehistoric network found inside the hillside. This is the only cave in Europe where the temperatures rise as people descend into the ground. It is full of stalactites and stalagmites. Visitors can visit the Prince’s Palace which was built on the site of a fortress that was once built by the Genoese in 1215. There is much to delight the eye in the palace like an Italian-style gallery and 15th century frescoes. The Louis XV lounge is decorated in yellow and gold, the Blue Room has a wonderful blend of blue and gold, the Mazarin Room has multi-colored wood-paneling and the Throne Room has a very impressive Renaissance fireplace. Of interest is the Palatine Chapel that was built in the 17th century. There is also St. Mary’s Tower built of white stones in nearby La Turbie and the Main Courtyard with its 17th century Carrara marble double staircase. 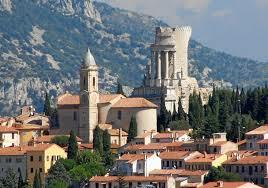 La Turbie is a commune in southeastern France and was once part of Monaco. Above La Turbie is a limestone outcrop called the Tete de Chien or “head of dog”, La Turbie is built of old stones that were recovered from the ruins of the Trophy of Augustus now Trophy of the Alps. This Roman monument was built by Emperor Augustus to celebrate his victory over the Ligurian tribes who once lived in the mountains in this area and attacked merchants along the Roman trade routes. 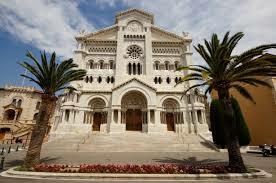 Monaco Cathedral was built from the pure white stones of La Turbie in 1875. The cathedral was built in Roman-Byzantine style and is the burial place for past sovereigns including Prince Rainier and Princess Grace. In the interior the impressive altarpiece was the artwork of Nicois painter Louis Brea dating from 1500 as well as the high altar and the Episcopal throne of Carrara white marble. 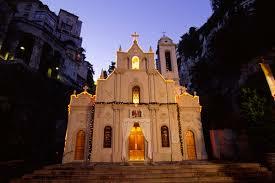 During great liturgical celebrations pontifical services are held here. These are accompanied by the magnificent sound of the grand organ which has four keyboards. From September to June every Sunday at 10 AM mass is sung by the Les Petits Chanteurs de Monaco and Cathedral Choir. In the Old Town you’ll find the Chapel of Mercy where the inaugural stone was blessed in 1639 during the reign of Prince Honore II. It was built with only one nave. This chapel was the place where the traditional procession on Easter Friday began and this tradition was continued for four centuries. It was abolished in 1870 but has been resumed once more. Inside the chapel is a wooden statue of Christ the artwork of the Monegasque, Francoise-Joseph Bosio, sculptor to Emperor Napoleon 1st. 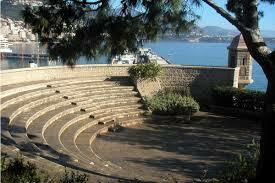 Fort Antoine is a fortress that was built in the 18th century and has now become an open air theater. After it was destroyed during the war it was once again rebuilt in 1953. It is fascinating to see its military architecture, watchtower and solitary surroundings. The stage has been arranged so that it has a pyramid of cannon balls right at its center. There are pittosporum hedges serving as protection where there is no parapet. 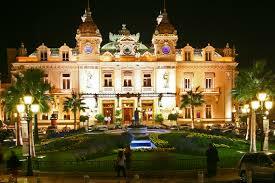 Of course no visit to Monaco would be complete without a visit to the world famous Monte Carlo Casino. Whether you are a gambler or not this grand marble and gold casino is a sight to see. It was built in 1893 by Charles Garnier, the same architect who designed the Paris Opera House. Its marble paved “atrium” is surrounded by 28 Ionic columns made of onyx. It gives access to the Opera Hall (no visits) decorated completely in red and gold, with bas-reliefs and sculptures. For more than a century great concerts and ballets have been held here. The Gaming Rooms are decorated with stained glass windows, sculptures and allegorical paintings. 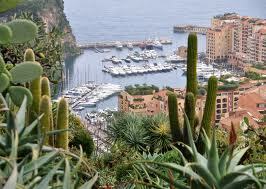 For relaxation and some sun and fun there is the Larvotto Beach Monte Carlo. The beach was created along the seafront shortly after WW II. Good sand for the beach is trucked in. The sections of the beach are separated by three concrete jetties. Stretching along the beach are restaurants, bars and bistros. To find your preferred place on the beach you have to arrive early during the peak summer season. This is a public beach and since prices are pretty steep for a sun bed and umbrella you should bring your own. This is a family-friendly beach but you must be careful of jellyfish so look for the flag flying from the lifeguard stand when they’re present. You can book jet skis and banana boat rides. For more action there is windsurfing, parasailing, a roller blade and skateboard area. For the little ones there is a toddler playground. Everything you could want to do or see is within walking distance from the beach.